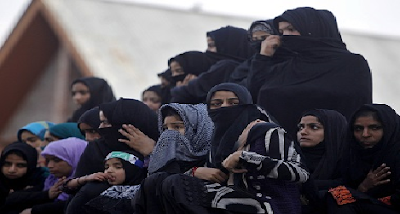 The Central Government of India told to the Supreme Court that Polygamy is not a religious practice, but rather a social custom or usage which the State can interfere with to ensure that Muslim women’s fundamental rights are not violated. “Practices such as polygamy cannot be described as being sanctioned by religion, inasmuch as historically, polygamy prevailed across communities for several centuries including the ancient Greeks and Romans, Hindus, Jews and Zoroastrians. It had less to do with religion and more to do with social norms at the time,” the Centre said in its written submissions filed late on Monday in the Supreme Court. “In the Holy Koran as well, it appears that the prevalent or perhaps even rampant practice of polygamy in pre-Islamic society was sought to be regulated and restricted so as to treat women better than they were treated in pre-Islamic times,” the government, represented by Attorney-General Mukul Rohatgi and advocate Madhavi Divan, submitted. “It is submitted that the practice of polygamy is a social practice rather than a religious one and therefore would not be protected under Article 25. This is true also of nikah halala and triple talaq. For the same reason, polygamy would amount to a custom or usage, which is “law” within the meaning of Article 13 and therefore subject to fundamental rights,” the Centre argued. Since a social practice cannot be held to be an integral part of a faith and belief or an “essential religious practice,” it has to satisfy the overarching constitutional goal of gender equality, gender justice and dignity, the government submitted. They also said that the Muslim Personal Law has to evolve with the changing times and that it can be banned just like the practice of sati was banned. Polygamy has often been described as a form of human rights abuse by the world organisations and women's rights groups. In 2000, on the grounds that it violates the dignity of women, the United Nations Human Rights Committee considered polygamy a destruction of the internationally binding International Covenant on Civil and Political Rights. The United Nations also recommended that it be made illegal in all the states. Pakistan allows a man to marry up to four wives at the same time. The marriage has to be conducted with the permission of existing wife/wives. The Supreme Court has fixed for May 11 the Constitution Bench hearings on a batch of petitions on the issue.